The Jimmy Butler saga in Minnesota is officially over. On Saturday, Butler – along with first-round bust Justin Patton – was sent to the Philadelphia 76ers. In exchange, the Timberwolves received Dario Saric, Robert Covington, Jerryd Bayless, and a 2022 second-round pick. Butler has long been agitated with his situation in Minnesota. His explosive personality made things in the Twin Cities rather unbearable. Last year, the T’Wolves were a playoff team. This year, the team’s main focus was on Butler’s disgruntled attitude rather than the team getting better. Rumored discontent between Butler and Karl-Anthony Towns showed itself on the court – as Towns has looked rather ordinary this year. Minnesota isn’t better after trading Butler. He’s a fringe top-15 player in the league, and is unquestionably one of the better two-way athletes in all of basketball. With that said, this transaction may have saved Minnesota’s season. In addition, the trade could have very well vaulted Philadelphia into the Finals. Let’s have a look as to how the trade will impact each team. Above all else, Minnesota received some stability by shipping away the volatile Butler. It’s a shame the pairing didn’t work beyond one season. Butler’s presence made Minnesota a respectable basketball team for the first time in nearly 15 years. Alas, his personality certainly did not mesh with Towns. In terms of what Minnesota did get, both Saric and Covington will likely be plugged into the starting lineup from the get-go. Saric should man the four spot, with Covington out on the wing alongside Andrew Wiggins. The appearance of both Saric and Covington make Minnesota a longer and bigger basketball team. Covington’s defensive prowess will be a welcomed sight for head coach Tom Thibodeau. 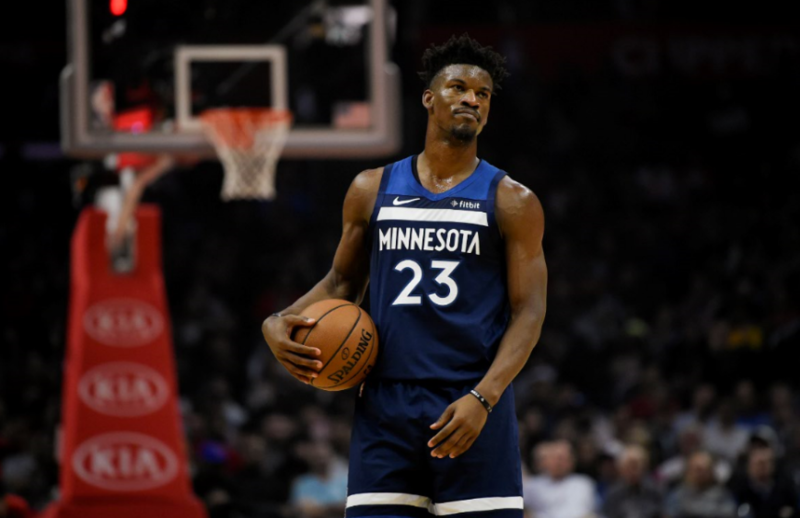 He could immediately endear himself to the defensive-minded head coach right away (as there are some eerily similar parallels between Covington and Thibs favorite Luol Deng). Saric is more of a playmaker. While not a great shooter, he does play the game with ample energy. He’ll get a chance to handle the ball without Minnesota having a true point guard (with regards to Derrick Rose). We’re excited to see the possibilities of a Saric-Towns pick-and-roll. Stylistically, Minnesota should be able to push the tempo to a greater degree. Unlike Butler, Covington and Saric don’t need the ball in their hands to be effective on the offensive end of the floor. Towns is a quality passer of the basketball. If positioned at the high post, his passing ability could be utilized with back-door cuts from Covington off the weak side. Saric is also a great screener – an aspect which should help Wiggins get better looks. Moving the basketball at a higher clip should also enable Minnesota to become a more efficient team offensively. Far too often, the team was reliant upon Butler to create in isolation situations. Now, the team (in theory) could function better with more fluidity and pace. However, the main benefactor from this trade is Towns. He didn’t look comfortable at all alongside Butler. With the ‘dark cloud’ now in Philly, it will be interesting to see whether Towns sees an uptick in production. Minnesota didn’t get an all-league player in return for Butler. However, it did manage to get two young role player assets on decent contracts. At the very worst, Covington and Saric will be serviceable. For a small market team, it was impressive to see them swing for the fences in the first place when acquiring Butler from Chicago. The trade is a bit disappointing for Minnesota from the standpoint that it couldn’t salvage the relationship with Butler. It’s rare for a team of this ilk to trade for a player of Butler’s stature. Getting a superstar in return would’ve been ideal. However, Butler’s impending free agent status all but squashed that thought. It would’ve been nice to also nab a first-round pick (as was rumored in other potential deals with Houston and Miami). With that said, the duo Minnesota did get back from Philadelphia should fit seamlessly into what Minnesota wants to do. Philadelphia got considerably better with this trade. On the surface, the 76ers now have three of the six best players in the Eastern Conference. 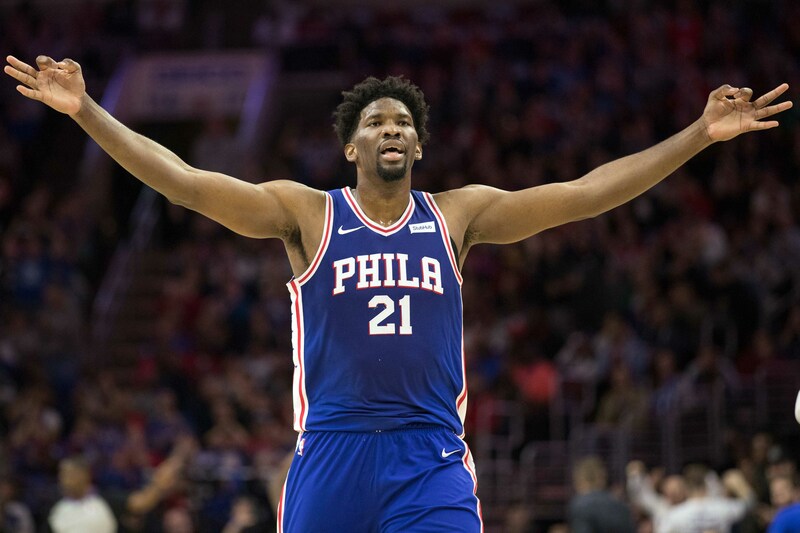 There’s also great balance – as one’s a ‘guard’ (Ben Simmons), one is an elite two-way wing (Butler), and the other is arguably the best center in the NBA (Joel Embiid). This amount of firepower could vault Philadelphia into a position to represent the East in the NBA Finals. However, there are plenty of unknowns to suss through en route to a potential matchup with Golden State. Let us first start with the positives. Philadelphia was able to acquire an All-Star in his prime. To make matters better, the All-Star has elite defensive skills — and sorely needed postseason experience. Butler is another playmaker out on the floor next to Simmons and Embiid. Head coach Brett Brown can stagger the minutes of the big three as a means to keep each fresh. Butler’s arrival enables Philadelphia to matchup with any team in the East. The multiple-time All-Star will surely draw the defensive assignment on the likes of Victor Oladipo, Jayson Tatum, and Kawhi Leonard. All three are playing on teams Philadelphia could see during the postseason. In terms of pure talent, there’s not another team in the East with this level of ability. Simmons is a 6-foot-10 transcendent beast of a facilitator. Butler is a proven commodity, and can single-handedly carry a team for large chunks of any game. Embiid is unicorn-esque in terms of protecting the rim, and scoring from anywhere on the floor. Above all else, the front office has completely ended the process. Philly is here to make some real noise in the Eastern Conference. This move puts the 76ers right up there with Toronto and Boston as the class of the Eastern Conference (sorry Milwaukee, we still have to see more of you this season before putting you in this category). Now, we’ll focus on some of the less savory aspects from this trade. Butler hasn’t proven to be a very good teammate. Some might even go as far to say he’s been rather toxic in his dealings with younger players. There are those who swear by him (such as Tyus Jones). However, there are others not so high on the four-time All-Star. Butler is intense, to say the least. He’s highly competitive, and is unquestionably a very hard worker. He’ll be placed alongside two players with far different personalities. Simmons is withdrawn, and almost passive at times. Embiid is a bit of a joker — though will not be shy about talking smack to opponents. We could see a scenario in which Butler may get annoyed by Simmons’ passiveness, as well as Embiid’s proclivity for not being serious all of the time. It’s something to look at, especially when considering how the chemistry in Minnesota completely dissolved. Additionally, Simmons and Towns have similar personalities (which is also something to take into consideration). On the court, Butler’s appearance shrinks the floor somewhat. Philadelphia already had some issues with spacing. Simmons is a non-factor anywhere outside of five feet. Markelle Fultz has next to no confidence when it comes to shooting anything other than a lay-up. With teams already collapsing on Embiid in the paint, Butler isn’t a completely natural fit alongside two other players (Simmons, Fultz) that can’t shoot. This could force J.J. Redick into the starting lineup. However, Philly’s bench would then become even more anemic without its top scoring option. Duly, jettisoning Fultz to the bench could kill his remaining thread of confidence. Look for Philadelphia to try and add shooting similar to what it did last year with Marco Bellineli and Ersan Ilyasova. Someone like Kyle Korver makes sense (assuming he doesn’t go and join LeBron James in Los Angeles). Lastly, Philadelphia is hitching its proverbial wagon to Butler. All reports indicate that the 76ers are prepared to sign Butler to a longterm max deal (which he will gladly except). As he approaches 30 years of age, Philly will be committing large amounts of money to a player with some injury history. When factoring in the extension given to Embiid — and the eventual extension to Simmons — this is what the 76ers core will look like for the foreseeable future. It’s a bit nervy committing so much money to two guys with injury concerns. With that said, we applaud Philly for going for it. The front office has put the team in position to contend for a conference title.